In general most of you workflow will be List workflow. It means that the process will be pinned to existing list or library and use properties of it. Please take a look at the print screen below. This is how your SharePoint designer screen will looks like when you select from left menu List and libraries and then something specific. We have two options here. One of them is SharePoint 2013 workflow, and the second is SharePoint 2010. The important thing here is that in some cases SharePoint 2010 process could be necessary to meet some requirements. 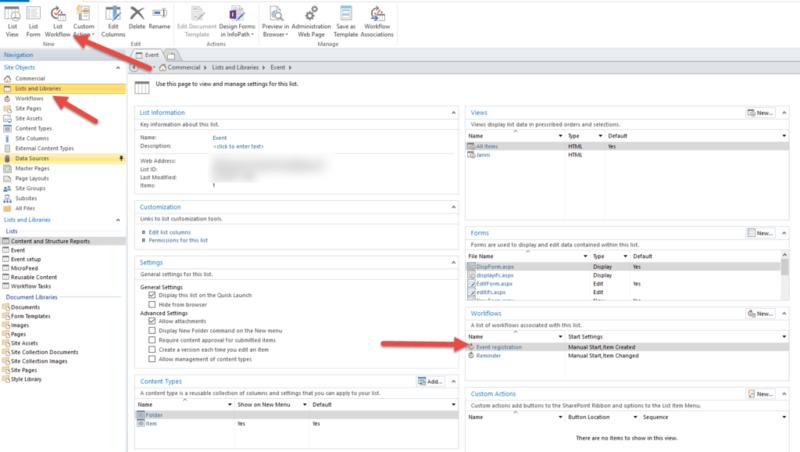 For example when you to send out emails message out side of your organization tenant in SharePoint online. 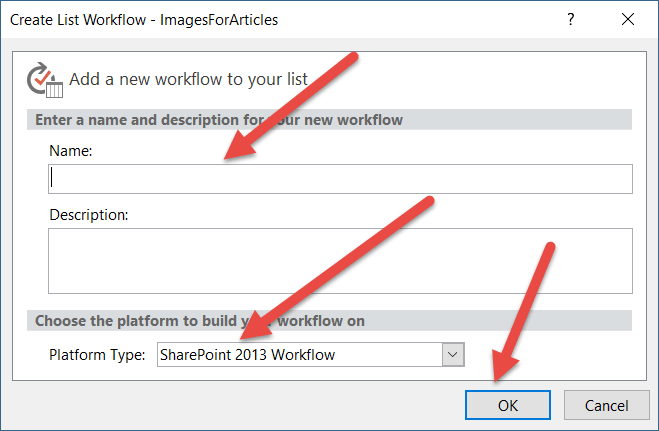 It’s not possible in SharePoint 2013 designer workflow. The most important difference is that 2013 workflow can act as State Workflow, which means that we can turn back to the action which already happened in the process. In case of SharePoint 2010 you do not have such option. Workflow process steps one by one in sequence. Ok. Let come back to our form. Enter workflow name, then select type and press ok. And when we can do next I will write in the next post.